At Bee Hollow Farm, we use only organic practices to raise and care for our bees. All our honey is carefully hand-harvested, run through a sieve to remove any wax particles and then held at hive temperature to preserve the natural goodness that can only be produced by nature. Our honey is never heated or filtered, ensuring each bottle contains the local pollen and enzymes that are naturally present in raw honey. There is not just one type of honey, in fact, there are over 300 unique types of honey available in the United States, each originating from a different floral source. The color and flavor of honey differs depending on the nectar source (the blossoms) visited by the honey bees. Honey color ranges from nearly colorless to dark brown, and its flavor varies from delectably mild to distinctively bold, depending on where the honey bees buzzed. Our bees collect nectar throughout the season and we selectively harvest our honey several times in order to isolate the different flavors, colors, and textures that are produced by the varying flowers each season. Because we selectively harvest our honey throughout the season, we have a wide selection of honey to choose from. Ranging from light and sweet honey all the way to our dark and aged Bourbon Barrel honey, and everything in between. We are proud to offer a large and diverse selection of honey for you to choose from, and we are confident that Bee Hollow Farm will have the honey you’re looking for! Who knows, you might even find your new favorite flavor that you can only find at our farm. Check out which kinds of honey we offer and how we get their distinct taste, texture, and color from our bees, below. Our Light & Sweet Honey: This honey comes from the nectar of early season flowers, fruit tree nectar, sweet clover, dandelions and all the goodness of spring. Light, delicate and a bit fruity. Our Amber Honey: This honey is all about summer lovin’. This honey comes from the abundance of summer clovers and wildflowers. Our Dark Honey: This darker honey is produced from the dark nectar flowers such as Sunflower, Goldenrod, Japanese Knotweed, Asters, and all the goodness of the late summer/fall season. Our Creamed Honey: This is nothing more than crystalized honey, where the crystallization process is finely controlled. Crystallization is a natural self-preservation process that occurs in honey. At Bee Hollow, we use the European method for making our creamed honey because the honey is never heated and therefore the honey retains its raw characteristics, maintaining all the healthful benefits of raw honey. It takes 30-days to produce a batch of creamed honey using this method, but we believe quality can’t be rushed. Our Original Creamed Raw Honey: This is just our raw honey in a spreadable form. 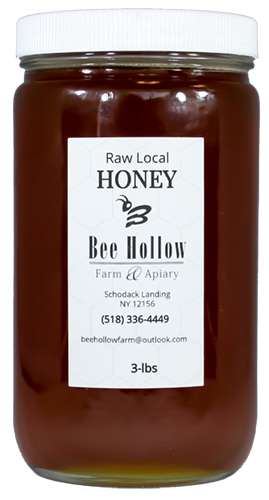 Enjoy this honey on your favorite sandwich or toast...it’s GREAT with peanut butter. Our Lemon Creamed Honey: This tasty and soothing honey is infused with dehydrated, organic lemon peel and a touch of organic lemon oil. Enjoy this in your favorite tea or spread on toast or pancakes...or just on a spoon! Our Cinnamon Creamed Honey: This sweet treat honey is richly infused with Saigon Organic Cinnamon. Enjoy this honey on French toast, fresh apples, pancakes, waffles, raisin toast or put a spoonful in your coffee. For a tasty treat spread this on fresh apples...it’s apple pie in your hand! Our Strawberry Creamed honey: Skip the grocery store jelly and instead get your hands on this honey, which is infused with freeze-dried organic strawberries that are ground into a fine powder and incorporated into the honey. Who needs jelly when you’ve got strawberry creamed honey?! Our Bourbon Barrel Aged honey: Talk about fine wine...we mean honey! This honey is a unique experience — once a batch of bourbon has been fully aged and removed from one of our 53-gallon oak barrels, we then fill them with our rich raw honey and age it for a full 6-months....AMAZING! Put a spoonful in your coffee for a twist on your morning wake up call! To get your hands on some of our amazing honey creations listed above, buzz on over to our shop page and browse all of our available honey and products. 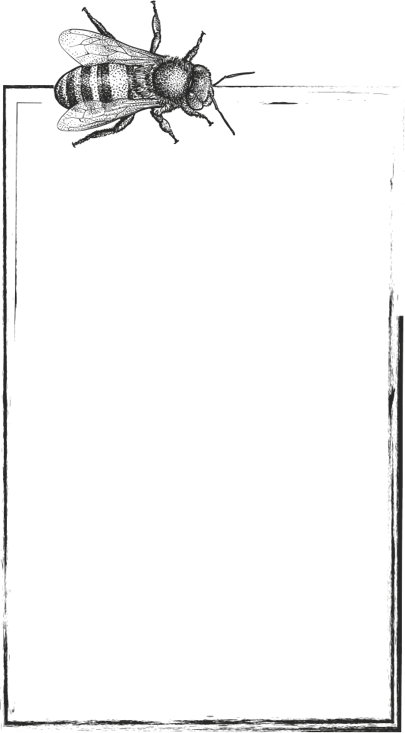 Thank you for supporting Bee Hollow Farm!